The team… travel 5pm – 9pm Monday through Friday stopping at downtown and West-end locations. MOST offers both services and supplies to Windsor’s street involved or those experiencing homelessness. 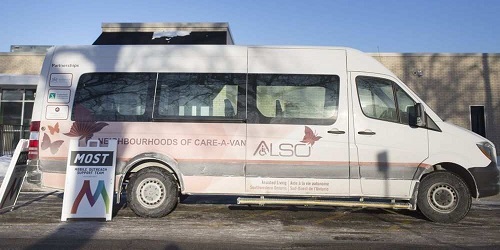 “The goal is to not move these individuals on and out but to sit down and talk with the goal of connecting to existing community mental health services,” said Janice Kaffer, President & CEO of HDGH. “If talking is not in the cards for that day. That’s ok. Maybe a warm blanket or food is. MOST if about relationship, forming that trust that will encourage folks to get the help they need.”….